If you are on the lookout for a road or track car but can’t find one that meets all of your requirements then you may want to consider building your own, it will most likely work out cheaper than buying someone else’s and then changing it to meet your requirements. 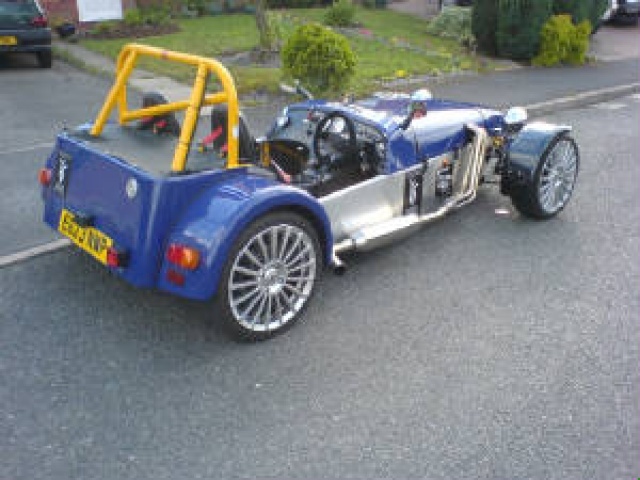 TSVC can help you build your perfect Lotus 7 style car. We have many years’ experience in building these types of cars, our very first experience was building our own, a truly brilliant experience and we have now helped many people realise their own dream of owning and driving one of these brilliant cars. The best thing about using our services to build your road or track car is that you are the boss; we will build the car to your specifications which allows you to have the body work and engine that you require. We are experts in creating the perfect road legal Lotus 7 style cars for a perfect weekend toy or a track car which will be a race winner. We can also use our skills in project management to help you build your car, we can work with various specialists up and down the country so that your build can take place near you and yet you can still take advantage of our expertise. These Lotus 7 style cars are perfect for anyone looking for a car that handles beautifully and goes like stink and we would love to help you achieve your goal of owning one, whatever specs you may want yours to be we can help. If you would like to know any more about what we can do for you then please feel free to let us know, we will be happy to answer any questions you may have.